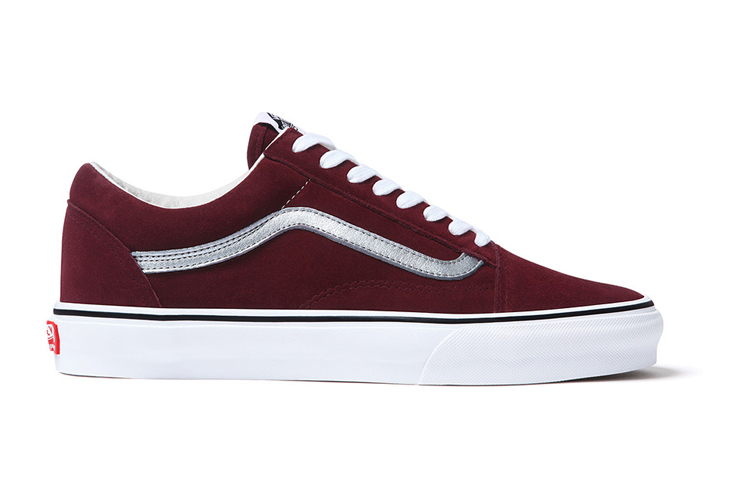 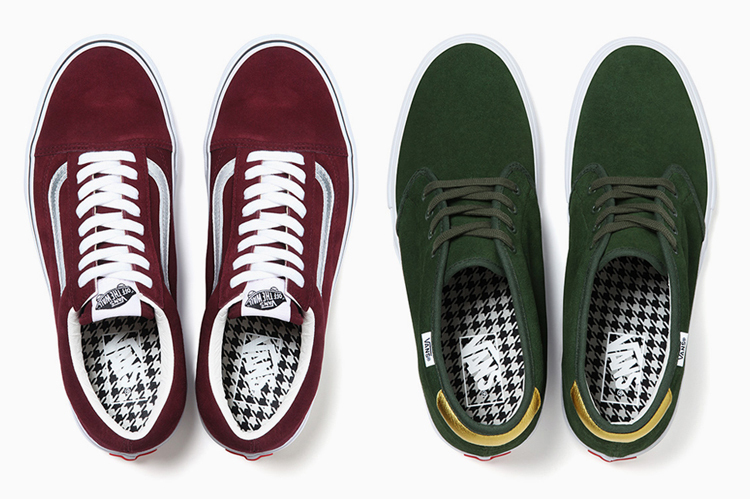 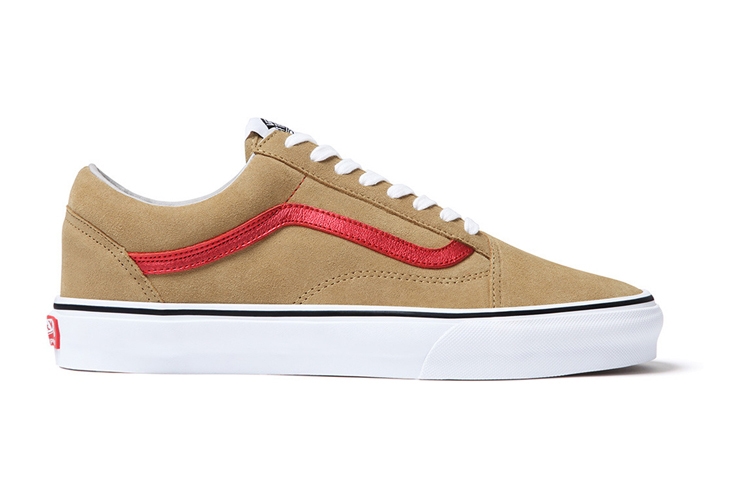 This Fall, Supreme will be releasing two new styles of Vans – The Old Skool and The Chukka. 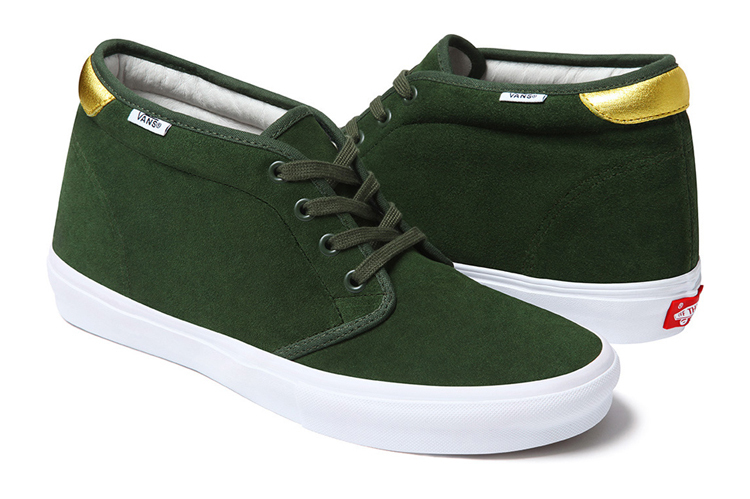 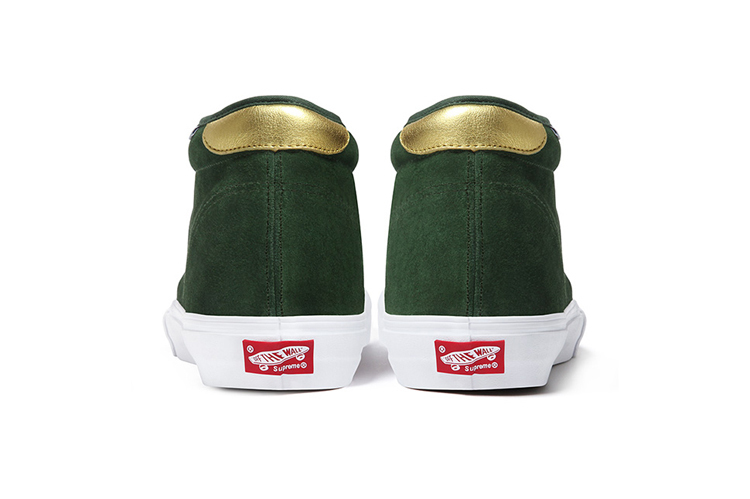 Both styles feature premium suede uppers with metallic leather detail and leather in-soles. 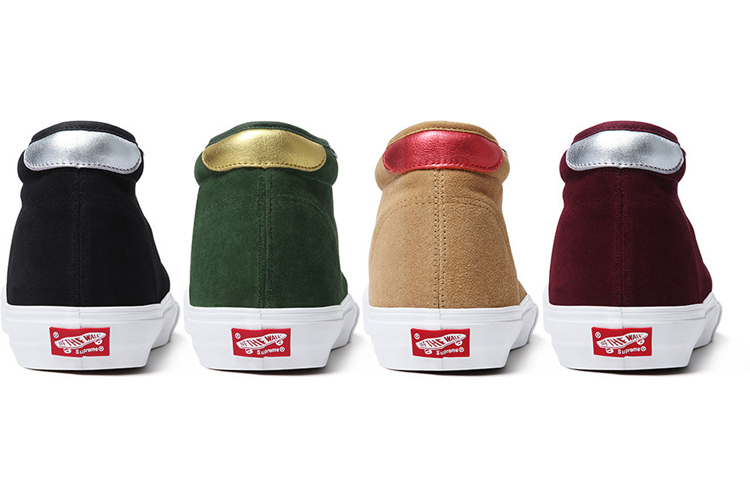 Both styles will be available in four different colorways made exclusively for Supreme. 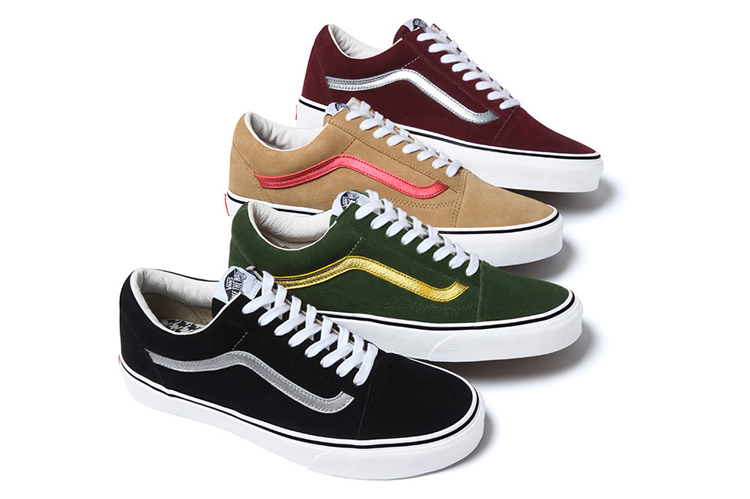 Release date 13 September in Supreme’s stores on/offline.